LIGHT WEIGHT, EASY TO STORE AND MOVE FROM JOB TO JOB. QUICK AND EASY SETUP. PULL ONE PIN, STAND TOWER UP, PLACE RAM ON BASE WITH TWO PINS, PULL TWO PINS AND SLIDE BASE EXTENSIONS OUT, SLIDE BASE INTO 5 POINT LOCKING SYSTEM INSTALL LOCKING PIN. 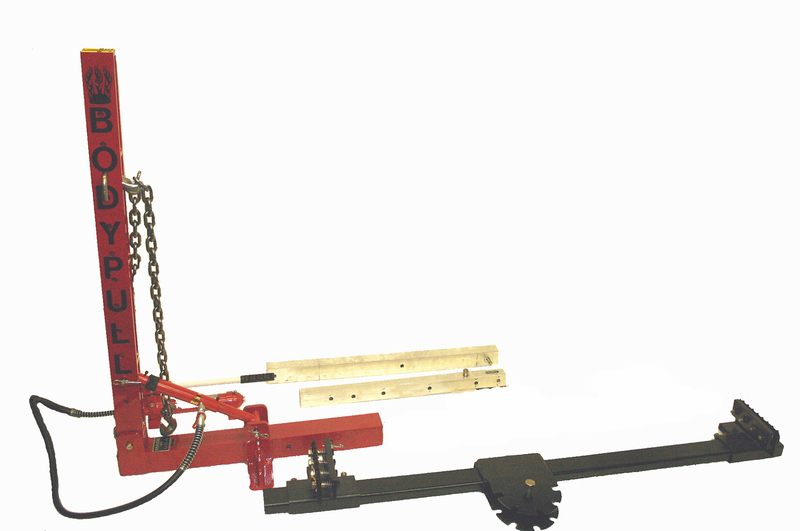 THEN SLIDE CLAMPING SYSTEM UNDER VEHICLE AND TIGHTEN CLAMPS ONTO PINCHWELDS. 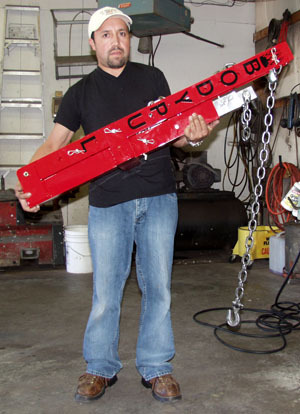 HOOK UP CHAIN FROM TOWER TO WHAT EVER CLAMP YOU WANT TO USE FOR PULLING AND START YOUR PULL. 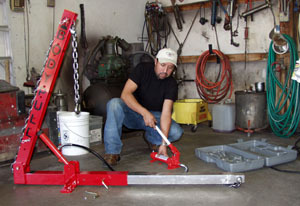 FREE UP THAT FRAME MACHINE-MAKE PULLS ANYWHERE IN SHOP OR IN PARKING LOT-HAVE A SMALL SHOP? NO ROOM FOR A FRAME MACHINE? THEN BODY PULL IS YOUR ANSWER.